Polycystic Ovarian Syndrome (PCOS) is a complex endocrine system disorder impacting hormone production in women, often causing irregular menstrual cycles. It disrupts fertility health for these women in many ways! Why PCOS happens is still somewhat of a mystery. It could be a genetic condition, yet is believed to be a result of hormonal imbalance and the body’s inability to properly regulate insulin, which is made worse by poor diet, excess body fat, and an inactive lifestyle. Each woman with PCOS presents differently, beyond irregular cycles, many often experiences any combination of symptoms: anovulation, excess male-patterned hair growth, thinning hair or hair loss, acne, has multiple cysts on her ovaries, may be overweight or obese, yet may be thin, insulin resistance, and this list could probably go on. 1. Learning The Many Faces of Polycystic Ovarian Syndrome may be a helpful first step. Understanding the various presentations of PCOS, and how those variations affect treatment options can help in determining the best treatment options for you, whether natural, medical or a combination of both. 2. Natural Fertility Company Founder, Hethir Rodriguez, shares in her guide How to Reduce the Damaging Effects of PCOS on Fertility Through Diet and Herbs the importance of supporting the body in re-learning balance by promoting healthy hormonal balance, a healthy uterine lining, regular ovulation, improved estrogen metabolism, reduced cravings for sweets, and improved digestion, all of which are important for women with PCOS. 3. Be sure to head over to our Resources for Treating PCOS Naturally where we have compiled important articles on natural therapy options, up-to-date medical conversations, and more! 4. Join us on our PCOS & Fertility board on Pinterest for natural fertility tips and to connect with others who are on a similar journey. Our hope is that if you have PCOS, you know you are not alone and that the body can return to balance! Many doctors of all schools of thought believe that dietary changes are the most powerful way to help the body with PCOS return to balance. If you feel you need personalized support, consider a Natural Fertility Consultation. 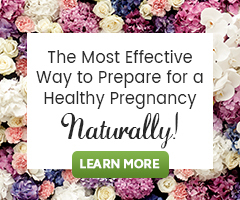 By booking a Natural Fertility Consultation you will have access to: an herbalist who is assigned to you, answers to all of your questions, a detailed plan created specifically for you to get the best results with your Natural Fertility program. We’re here to help!